Migraines are very painful and can prove to be very disruptive to your daily routine. The headache and other symptoms are so bad that you have to stop doing anything and attend to the pain first. Sensitivity to light or noise, vomiting and nausea, encountering visual issues are some of the accompanying symptoms of migraine and might not be the same for all sufferers. Identifying specific triggers that cause migraine can help you learn how to prevent migraines. So you can avoid the triggers and keep the migraine at bay. Getting exhausted or changing sleep habits might trigger a migraine. And the migraine might be aggravated if you are not getting enough sleep. This is why an eight hour sleep is a must, but avoid oversleeping as it can result in a headache as well. Dehydration, hunger and irregular eating patterns are all known to cause migraines. So regular intake of water and eating regular meals is absolutely necessary for avoiding them. It is also important to have your breakfast within an hour of waking up. Remember to eat something whenever you feel hungry during the day. Any kind of sensory stimulation like flashing lights or loud noises can set off a migraine. Although such stimuli are unavoidable sometimes, but situations like going to movie theaters or clubs, night time driving and sun glare are among the migraine triggers that can be easily avoided. Rest your eyes by adjusting the brightness level of the digital screens and take regular breaks from TV and computer. Mayo Clinic states that foods like cheese, chocolate, processed meats, red wine, sweeteners and dark-colored alcohol can trigger headaches. Knowing which additives and foods can cause a migraine can help you in avoiding them. For instance, nitrates and nitrites found in sausages, hotdogs and MSG (Monosodium Glutamate) are food additives that must be avoided at all cost. Caffeinated drinks and alcoholic beverages like champagne, pepperoni, baked goods, potato chips, dried or smoked fish and peanuts are known to trigger migraine. So limiting their consumption can cease the onset of a migraine. Eating a well-balanced diet composed of whole grains, vegetables, fruits and proteins is another method to avoid migraines. Kale, spinach, broccoli and other dark green vegetables can be consumed along with low-fat milk, yogurt and eggs which offer healthy proteins. All these foods offer vitamins which can help you in avoiding migraine attacks. Magnesium rich foods and oily fish can also help in preventing migraines. Weather changes can have an effect on the pattern of your migraine attacks. For instance, rain, high temperature and humidity can trigger headaches. It is best to come indoors and take rest if you feel the weather is becoming too uncomfortable for you. If you are not able to avoid going outdoors in uncomfortable weather, it is also necessary to protect yourself with sunglasses, hats and sun-protective clothing. Keeping a headache journal can help you in pinpointing the triggers of your migraine attacks. Note down what you are drinking and eating in the journal along with your emotional feelings, your exercise regime, the drugs you are taking and their side effects, the weather, and the severity and timing of your episodes. You will soon identify a pattern in your migraine episodes. This would make it easier for you to learn how to avoid migraine. Stress can aggravate migraines due to muscle tension and increased dilation of blood vessels. Migraines can be warded off by managing stress using relaxation techniques like time management and positive thinking. 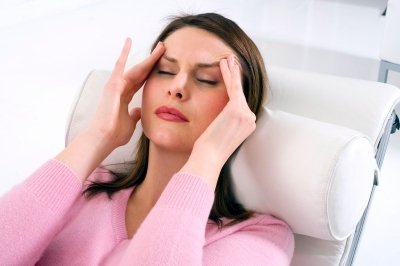 Migraine sufferers can suppress a migraine through the use of biofeedback. It is the ability of a person to control vitals like blood pressure, pulse and temperature using relaxation techniques. Exercising on a regular basis is an essential component of healthy living. However, strenuous exercises can induce a migraine, so it is better to avoid it. Take part in activities like light aerobics, tai chi and yoga which reduce stress without straining the body. Moreover, doing a gentle warm up and remaining hydrated before and after the exercise session is also necessary. Refraining from exercise during extreme temperatures is also advisable. During exercise, it is best to maintain a good posture since a poor posture can cause tension in your muscles and consequently a migraine. Getting the proper nutrients is paramount for a migraine sufferer even more than taking medicines. Because the deficiency of certain minerals like magnesium can lead to migraine attacks. Thus, migraines can be held off by intake of magnesium supplements and even some herbs too. Herbal supplements like kudzu root, butterbur and feverfew extracts are helpful but should not be used by pregnant women. High doses of riboflavin and active B-6 or coenzyme can also be used. Before taking any supplements and herbs, it's advisable to consult your doctor about the dosage. Women are more likely to have a migraine than men and tend to experience it just before or during their menstrual period, pregnancy and menopause. Therefore, women must remain on high alert and watch their diet and exercise regimes during this period. This can help them in keeping down their migraine symptoms. Mayo Clinic states that hormone replacement therapy and oral contraceptive can increase the severity and frequency of migraine attacks. Switching to alternative forms of birth control can provide relief to some women. Certain medications are known to cause migraines. If there is a drug that you suspect of triggering your migraine, then ask your doctor first before stopping its use. Nitroglycerin which eases chest pain and some vasodilators that lower blood pressure can initiate a migraine headache. Server responsed at: 04/22/2019 4:17 a.m.